as the end of my business trip looms near, so does my number of cities to stop by to. nevertheless it's our only holiday on the first Monday so we got 3 days off to fulfill another ambitious feat - three countries in three days! first stop - Vienna. 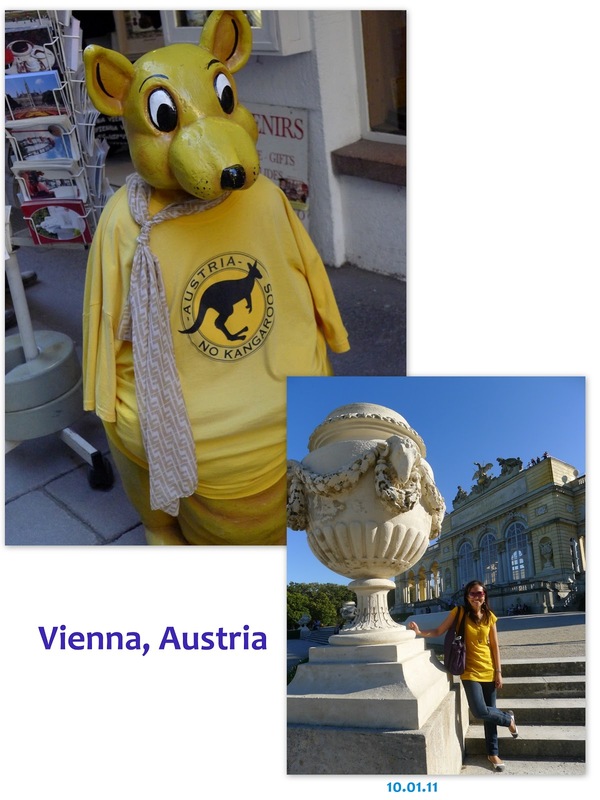 first of all, as to not disappoint anyone, there are no kangaroos in austria! it took me a while to realize that this meant Austria is not Australia! 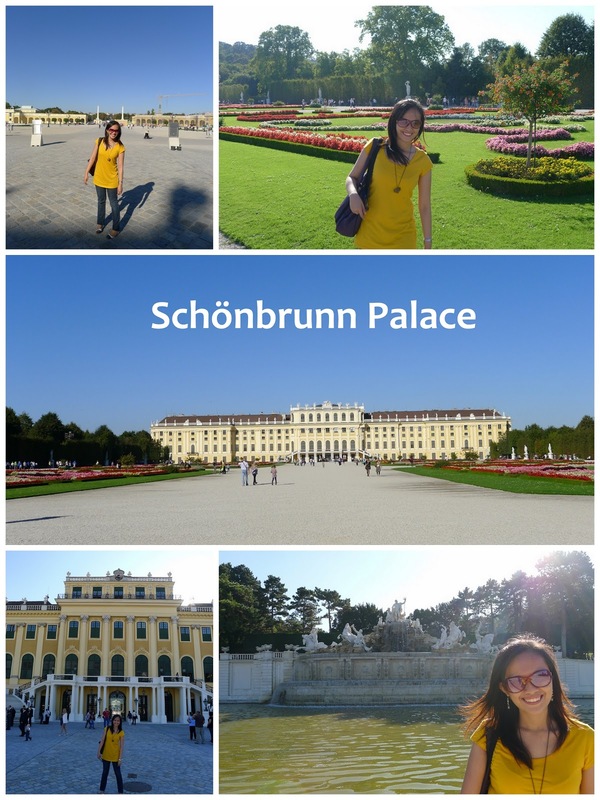 Schönbrunn Palace is a former imperial residence of 1,400 rooms. 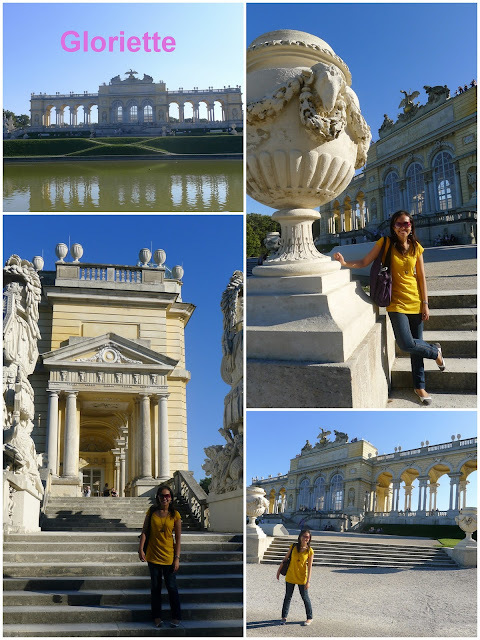 this is one of the major tourist attractions in the country, housing the oldest zoo, a lush garden, a labyrinth, a palm house, ruins, and a Gloriette structure on top of a 60-m hill. 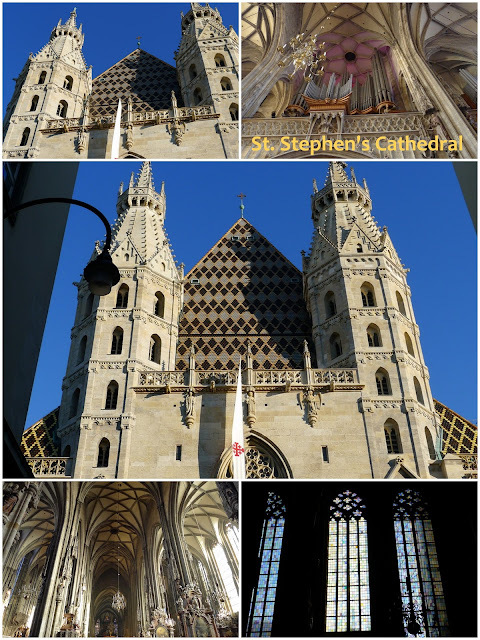 St. Stephen's Cathedral is greatly famous for its Romanesque and Gothic structure. 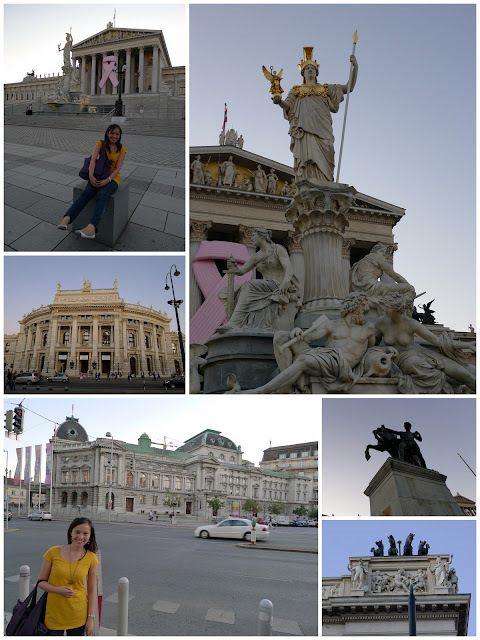 it is located in Stephansplatz, Vienna's city square in it's geographical center. i was particularly amused when we "psst'd" an angel and got a picture for free when he looked back at us! free shot! (it's pretty famous in europe - dressing up as goblins, angels, mummies and asking money to take pictures with them.) 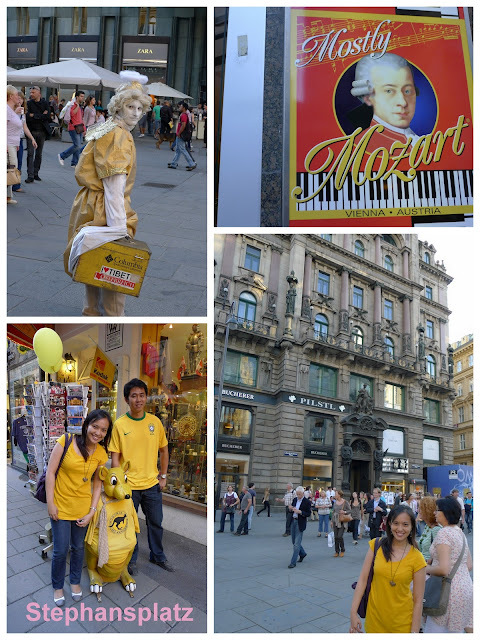 as Mozart was an Austrian and have worked in Vienna, you can literally see him everywhere - in shops, and some even wearing Mozart costumes! music is one of Vienna's legacies, with Beethoven and Haydn also having worked here and classical music was said to be born in this wonderful place too. The Rathaus, or the City Hall, is the mayor's seat in Vienna. just a block away is the Parliament House. the view at night is also picturesque. as the city surrounds both sides of the Danube river, a colorful, brightly-lit cityscape awaits you as you explore the river-side at night. 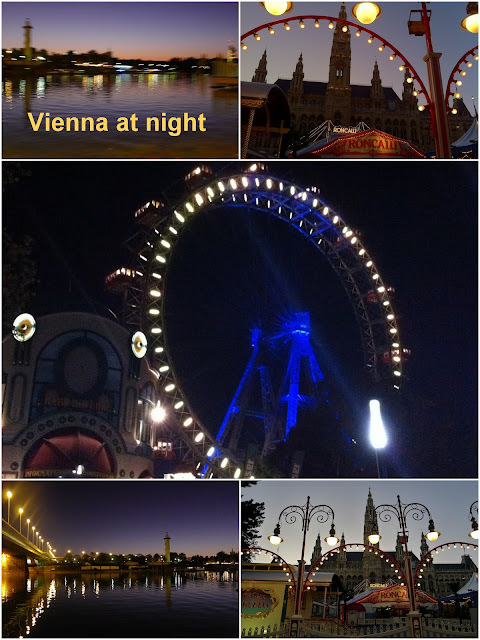 i've often heard so many wonderful things about Vienna. and so far, i've seen a few wonderful places. true, because we had been pressed for time, we didn't cover as much as we would've wanted - that's my only regret. oh well, another excuse to come back for more!